Located in the heart of Santa Barbara County’s Santa Maria Valley, Presqu’ile (pronounced press-KEEL) is a small, family-run winery dedicated to making exceptional cool-climate Pinot Noir, Chardonnay and Sauvignon Blanc. Designed and planted to create a diverse tapestry of vineyard blocks, the sustainably certified, 73-acre Presqu’ile Vineyard features an array of clones, exposures and elevations. 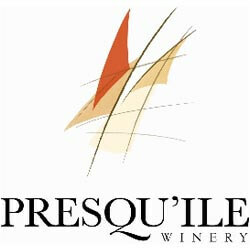 Made using this estate fruit, and grapes from a handful of the finest vineyards in the valley, Presqu’ile’s wines capture the essence of their vineyards and vintage, and have earned acclaim for their elegance and balance. Situated high atop a hill, with ocean and vineyard views, the stunning Presqu’ile Winery offers one of the most memorable wine tasting experiences on California’s Central Coast.